Bulletin board set helps students organize their year with interesting graphics. 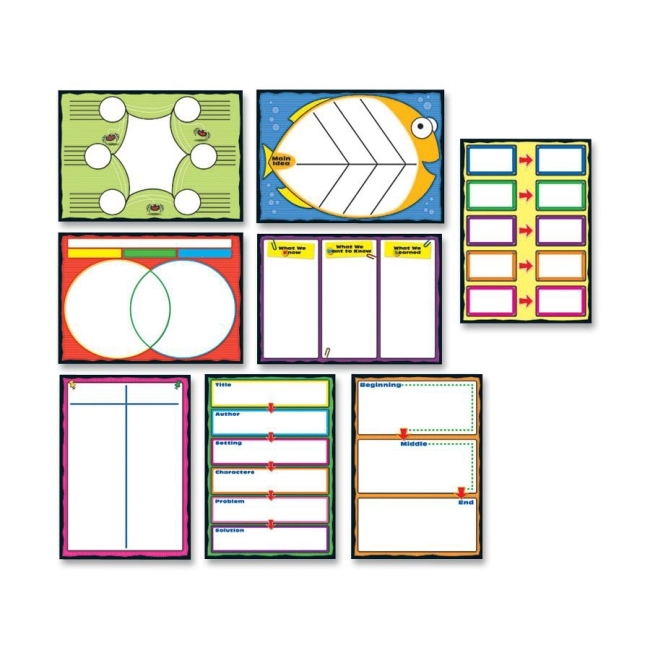 Set includes a resource guide and eight fantastic graphic charts (17" x 24" each) including beginning, middle and end; cause and effect; Venn diagram; KWL; Story map; Story web; Fishbone and a T-Chart. Graphic Organizers Bulletin Board Set is designed for students in up to 12th-grade.